Following last nights shutdown of Visa’s payment system across large parts of Europe, we thought this would be good time to revisit the topic of money. Cold hard cash is on the way out, following a sustained global effort to undermine its usage. Is that a good thing? Does the Visa crash exemplify just how little power the consumer wields in a world of universally digital payments? 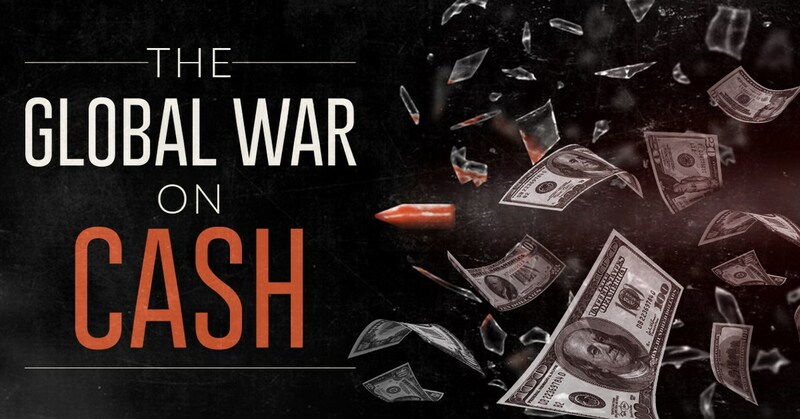 James Corbett has been running his Open Source Investigation into the “War on Cash” since 2016, here we post some of the more concerning findings. Feel free to contribute BTL if there are any further developments, or get in touch with The Corbett Report directly here. AUSTRALIA – Late last year the Westpac banking group issued a “Cash Free Report” touting the highly self-serving finding that “Over half (53 percent) of payments currently made in Australia are cashless” (using Westpac online banking services like their cardless ATMs, no doubt). The report goes on to predict that Australia will be cash free by 2022. Meanwhile, the government is readying a cashless welfare system that will allow the government to control what the money is spent on. What could possibly go wrong? FRANCE – In the wake of the Charlie Hebdo attacks last year, the French government stepped up its war on cash. In March of last year, French Finance Minister Michel Sapin declared it necessary to “fight against the use of cash and anonymity in the French economy” in order to combat “low-cost terrorism.” As of September 2015, it is illegal for French citizens to make purchases exceeding 1000 euros in cash. ITALY – In 2011 newly appointed Italian Prime Minister Mario Monti made cash payments over 1000 euro illegal. “What we need is a revolution in Italians’ thinking,” Monti told reporters as he announced the emergency decree which was put into law before it was even formally voted on in parliament. NETHERLANDS – In 2013 the mayors of Almere, Rotterdam and Maastricht engaged in a publicity stunt to promote a campaign encouraging the public to abandon cash. They spent a week without spending any cash, relying solely on debit cards for purchases. The campaign is part of a long term trend away from cash and toward debit payments in many supermarkets and other businesses around the country.